This is one of the best Bluetooth speakers for your phone, period. 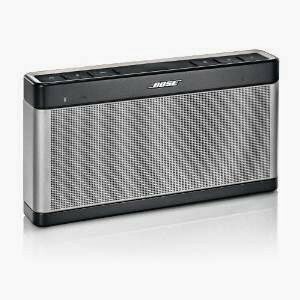 It has one of the most powerful sound capabilities for a Bluetooth speaker in this price range. It is not the cheapest for sure. But it has a good, sleek design, aux input connectivity for connecting to other systems as well, USB connected system updates for lasting Bluetooth compatibility, and the connectivity range of the Bluetooth is 30 feet. But of course, the closer the better. This is a great speaker for people who want to listen to music in their room, or play music at a party, via their phones. For more info visit it’s amazon company page. But if you want just an OK Bluetooth speaker, than there are cheaper alternatives, even around $60, so explore and find the best one for you, but this is the all rounder. A good cheap alternative is G-Project G-Boom for $100. These earphones are the best in their price range. No question what so ever for me. 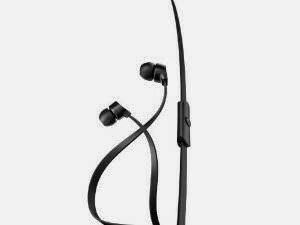 They have a beautiful round shape in the earphone itself and it produce sound way beyond its price. 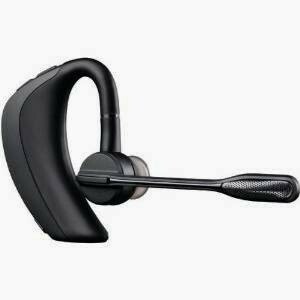 It handles hands free voice calls great, clear voices as long as you have a good carrier and it handles music great as well. The classic “tangled earphone wires” problem is not present with these. They have a Swedish design which has flat wires so when ever you take them out of your pocket, they spring back to their original self without getting tangled. The most basic accessory is an earphone for any smartphone, this is a great earphone for your smartphone. This is a great accessory, especially for people who need a lot of battery for their smartphones. It is a portable Android smartphone charger, it has many USB slots, so it is compatible with almost all USB charged phones. It has USB 2.1 technology which means it can charge your phone quick and it can store 6800 mAh which adds 30 more hours of use for normal smartphones. Think of this as a double battery for your smartphone. 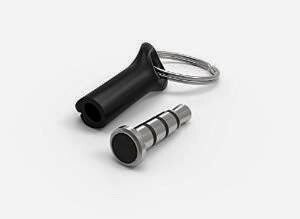 You can charge both, this and your phone, and then put them both in your pocket as this accessory can fit in your pocket. Now you can charge on the go, on the road or anywhere outdoors. Another version of this accessory is the Innergie PocketCell which has around 3000 mAh of space for power in it. This is the cheaper alternative if you do not need 6800 mAh. 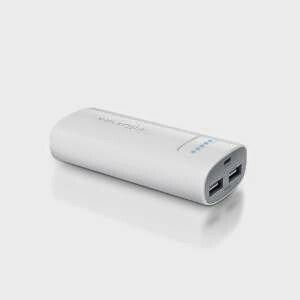 There are other portable chargers out there as well, so you can explore until you find the one for you. This is a great innovative idea for an accessory for android smartphones. It is an extra, customizable button for your Android smartphone. It comes free with a Pressy App which allows you to set different functions for this button. You can choose different sequences of pressing the buttons with the free app for example one short click for the flash light, two quick clicks for recording phone calls or one long click for quick photo! The buttons connects to your phones auxiliary jack, so your phone better have two of them if you are planning to use it with a earphone. But Pressy also comes with a free protective cover if you are using your earphone with the one jack, the cover can be attached to your key chain or earphone, when you’re done with your earphone, you can simply take it out of it’s cover and plug the button in again. 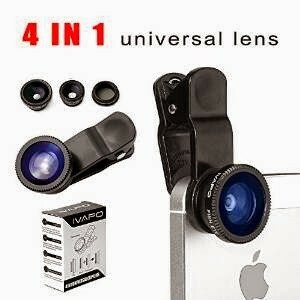 This is a great accessory for people who have their phones camera as their primary one or they just simply want to enhance their phones camera. It has fish eye lens for rounded photos, wide angle lens, macro and cpl lens for mobile phone cameras and it is compatible with many smartphones. It’s body is made of good quality aluminium. If you want to enhance your smartphone photo-taking experience, than this lens package is the best price:preformance option for you. But as always, there are many lenses out there, many more expensive an better lenses. 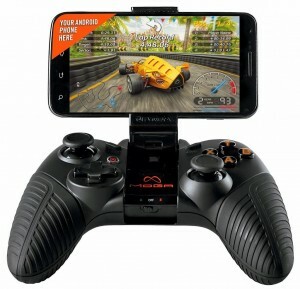 This is a great controller for people who like to use their android smartphone for gaming purposes. This is a full size console style controller, it has a d-pad, 2 clickable analog sticks, shoulder buttons and triggers and four action buttons, pretty much everything on a console controller. You can charge your phone while playing too as the controller has a rechargeable 2200 mAh battery. It comes with a micro B charging cable, a MOGA boost charging cable and a tablet stand. It comes in two styles, pro power and hero power. Hero power is $14 cheaper but pro power is more comfortable and looks better. As always, there are many fish in the sea, this is not the only gaming controller for your android smartphone out there. USB OTG Cable is probably one of the most practical accessories ever. 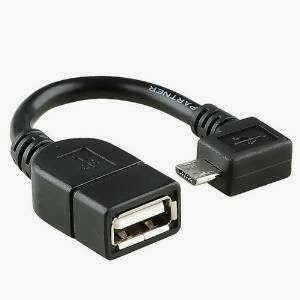 With this single, cheap, USB to micro USB extension, you can change your smartphone / tablet into a USB all rounder. It could connect everything from keyboards to mice to other gaming controllers that feature a USB. Everyone could have a lot of fun with this accessory, it is just a simple, fun and cheap add on. However, not all smartphones / tablets are compatible, to see which are visit to this site and preform a Google search because no one list is definitive. And of course, no top 10 accessories list is complete without this type of quickly growing in popularity gadget. 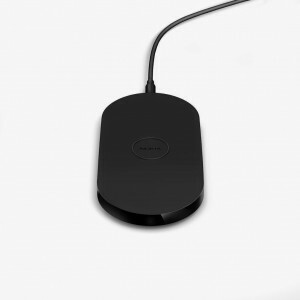 A wireless charger for Qi-Enabled smartphones. It removes the hassle of dealing with wires while charging, well duh, it says “wireless charger” in the title, what’d you expect. Anyway, this says Nokia on it but really, it works with any Qi-Enabled wireless charging supported smartphone. This specific one is pretty good, efficient, cheap and minimalist, actually a few months ago, I saw this on sale for $28 on a site. Anyway this is not the only wireless charger out there, if you are willing to spend more, go find the one for you from the hundreds of options available. But this is a really good budget wireless charger for Android. This accessory is a part of the Bluetooth earpiece family, because of course we have to put them in this top 10 as they are useful and practical. This specific earpiece is pretty good in it’s own right and budge. It has good clear voice call quality, and it can also deliver any HD audio that you are streaming from your device with quality. It has a 6 hours of talk time battery, 5 days stand by. Another cool concept is that it detects if you are wearing it or not, with this feature, the developers had a lot of fun, making different smart features like, it pauses all the audio when taken off, it locks the call button when connected but taken of so no accidental dialings occur and many more. BUT. As always, there are too many earpieces out there too decide on one, so feel free to explore and find the one for you. Some people might see style as an advantage, some might see the features as more important. And of course, we have to include a car mount as many people use these daily for their phones in their car. This is a pretty good car mount which is not held by a suction cup connect to the windshield, but by a clip to the CD drive, which is better in my opinion. It is fully 360 rotatable. It’s clamp can hold smartphones from 1.5″ wide to 3.5″. There is no other hassle or tool required. It just works great, does what a car mount should do without being too expensive. 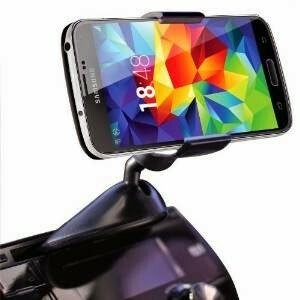 If you want a simple, useful and stable car mount for your smartphone, than this one is for you. So there you have it Android Enthusiasts! The Top 10 Best Accessories for Android Smartphones. Please do not get confused by the rankings, if you have any problem, please read this out first. These rankings are taken on the accessory’s innovation and it’s practicality for a normal person, well if you consider me normal. But do not worry about the rankings that much, it’s practicability varies from person to person. But after reading this, I bet you will find some pretty good and interesting accessories for your smartphone that work for you! And as always, have fun and stay blessed beloved Android Fan Club Readers! Make sure to subscribe to our email newsletter, so that you won’t miss the best Android Stuff exclusively shared on our website.